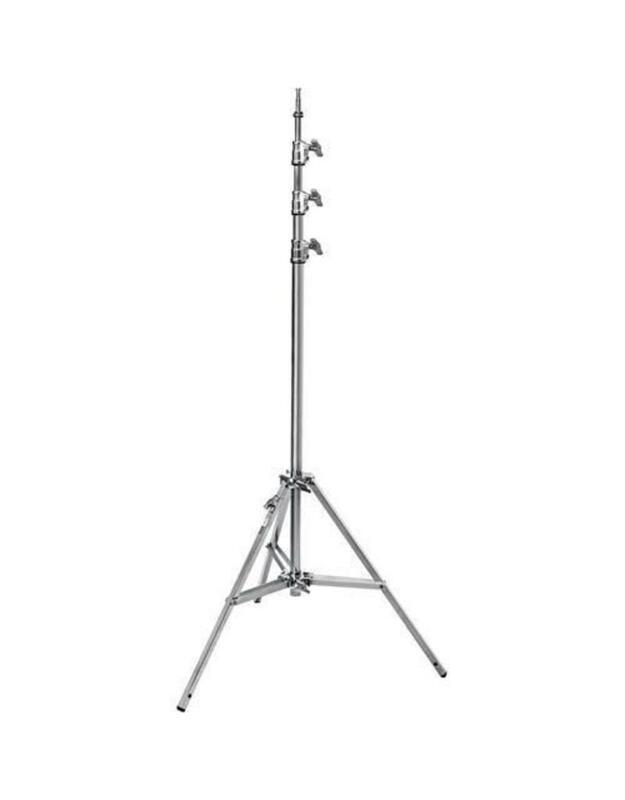 The Avenger Baby Steel Stand 45CS with leveling leg is a 4.5 cm high sturdy tripod made of chromed steel with a carrying capacity of about 9 kg. 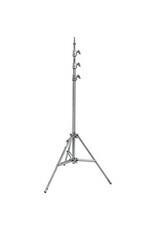 When folded, the tripod has a length of 135 cm and a weight of 8 kg. The 45CS has a 5/8 "Baby top stud and a height adjustable leg that compensates for uneven ground.